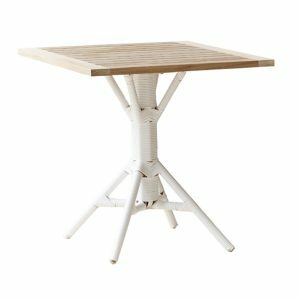 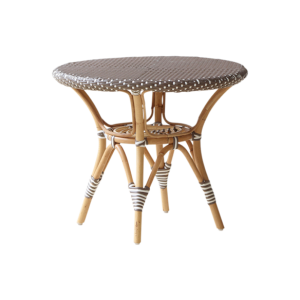 Transport your finery to the outdoors with our collection of tables in gorgeous teak, rattan designs or durable die-cast aluminium. 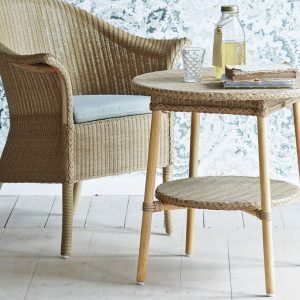 When there’s a lovely wind a-blowing and the weather is perfect, why sit indoors? 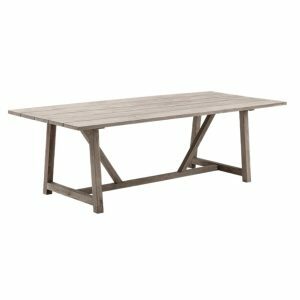 The outdoor table accommodates your need for fresh air and you sit enjoying the glories of the natural world as you enjoy a meal with your family. 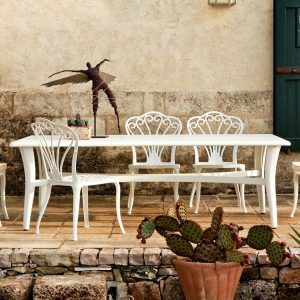 With outdoor dining furniture you are allowed to make an event out of every meal in your backyard. 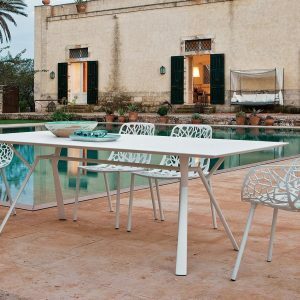 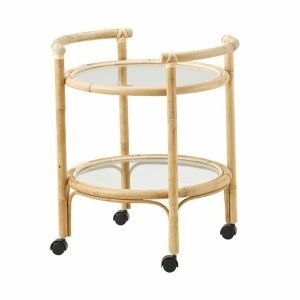 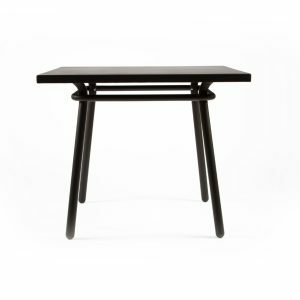 From resin furniture to wood, rattan to aluminum options, pick from some of the sturdiest materials available to stand the test of time. 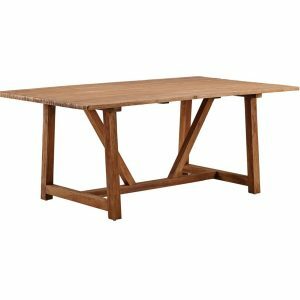 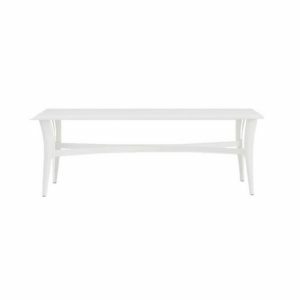 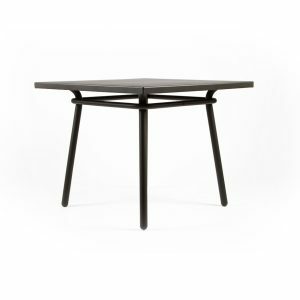 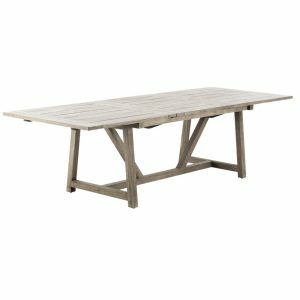 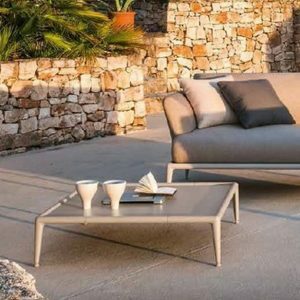 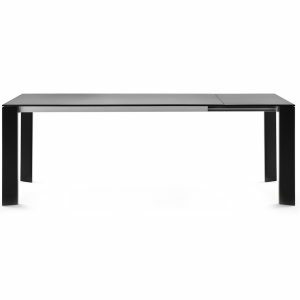 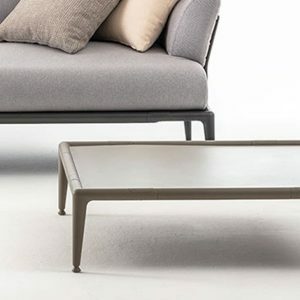 When choosing an outdoor coffee table or any other outdoor living furniture for that matter, it is crucial to choose options that are sturdy and will bear the elements with grace. 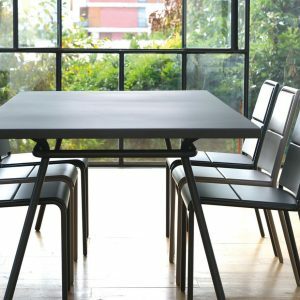 These are best found in resin furniture and aluminum options. 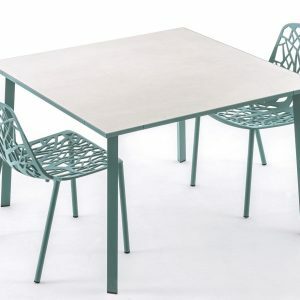 Resin furniture is beautiful for an outdoorsy, natural demeanor while aluminium is perfect for more colourful options. 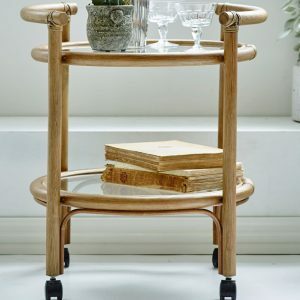 They are also lifelong companions, bearing minimal wear and tear over years and years of use! 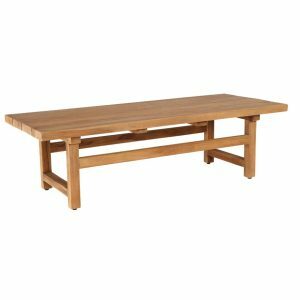 Apart from outdoor dining furniture or outdoor living furniture, many homes also require front porch furniture. 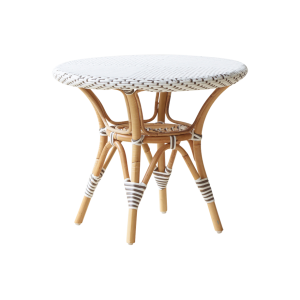 These are generally tinier in size given that porch furniture isn’t intended to take up too much space. 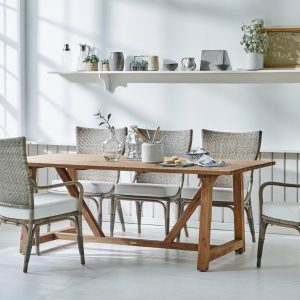 A small outdoor table or small patio table will do well for your porch, add to that some lovely rattan lounge chairs or even aluminium designs. 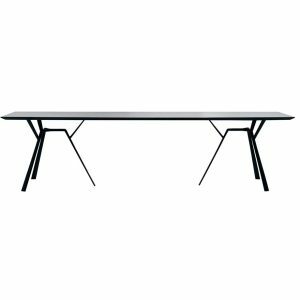 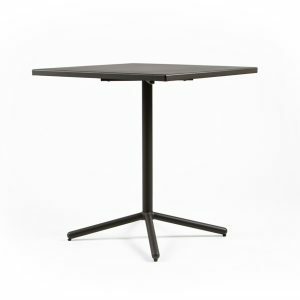 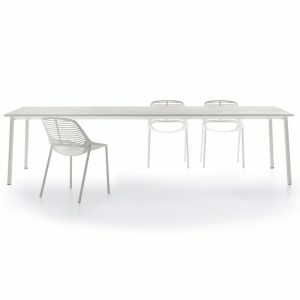 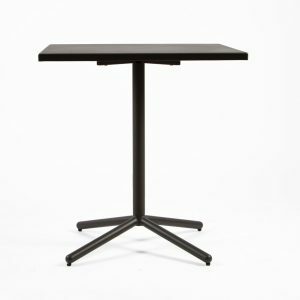 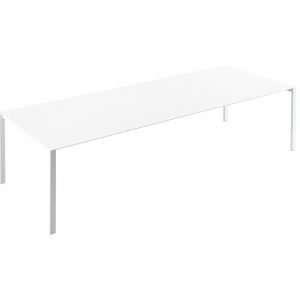 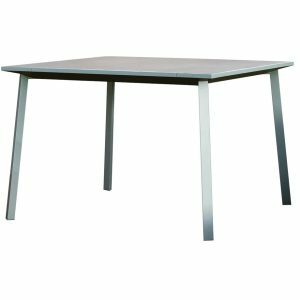 Aside from residential requirements, outdoor tables are also beneficial in hospitality and the restaurant sectors. 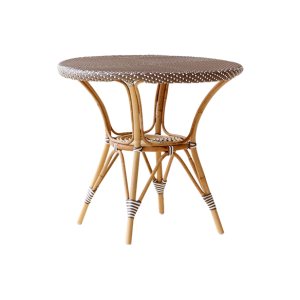 In most outdoorsy café set ups, outdoor side tables and outdoor patio tables are an ideal fit! 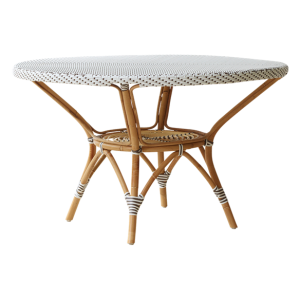 The café environment prefers small outdoor tables to larger ones. 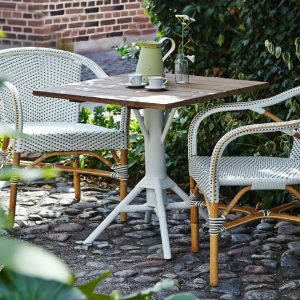 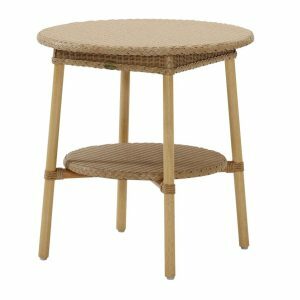 In our rattan collection, the Danielle range of tables comes in three sizes – outdoor side table, dining table and café table. 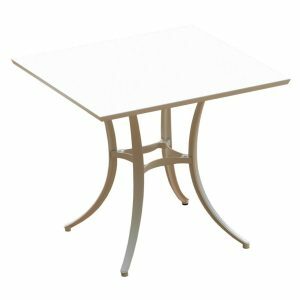 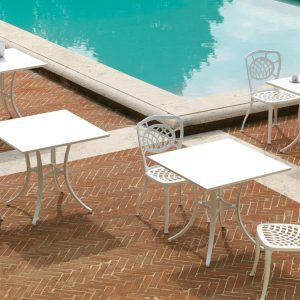 Ideal for outdoor dining furniture, in a café environment or even as a small patio table or outdoor coffee table - the Danielle range is one of many such versatile outdoor furniture options. 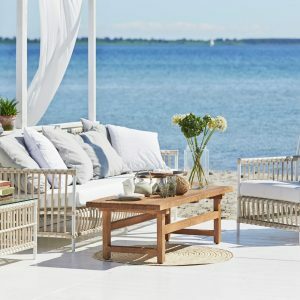 When you think of it, there is something really enthralling about spending an evening outside, with loved ones, taking in the sights of the day, maybe even watching a sunset. 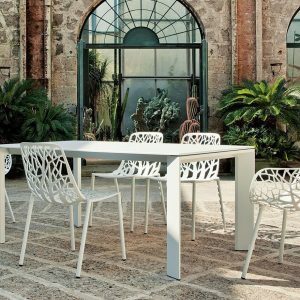 Ensure that you make the most of your surrounding environment by putting equal emphasis on outdoor furniture as you would on your interiors. 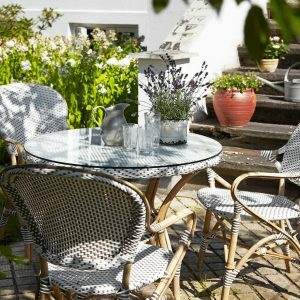 With a captivating enough set-up the outdoors can beckon to one, as much as the comfort of the indoors can. 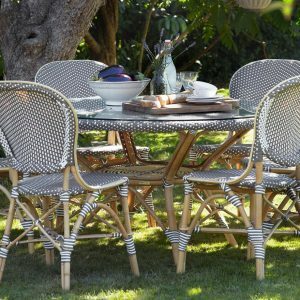 Whether it is simply having your evening coffee sat at your outdoor coffee table or enjoying a family lunch sat in your backyard – being seated in the outdoors is sure to uplift your spirits as a whole.